Hillary Clinton's campaign is hitting back on a report that more than half of the people outside of government she met with as secretary of state were donors to her family's charitable foundation, accusing the analysis of "cherry-picking" her schedule to create an "outrageous" narrative. "By our count, there were over 1,700 other meetings she had," campaign manager Robby Mook said on MSNBC's "Morning Joe" Wednesday. "She was secretary of state, she was meeting with foreign officials constantly," Mook continued. "So to pull all of them out of the equation, cherry-pick a very small number of meetings, is pretty outrageous." 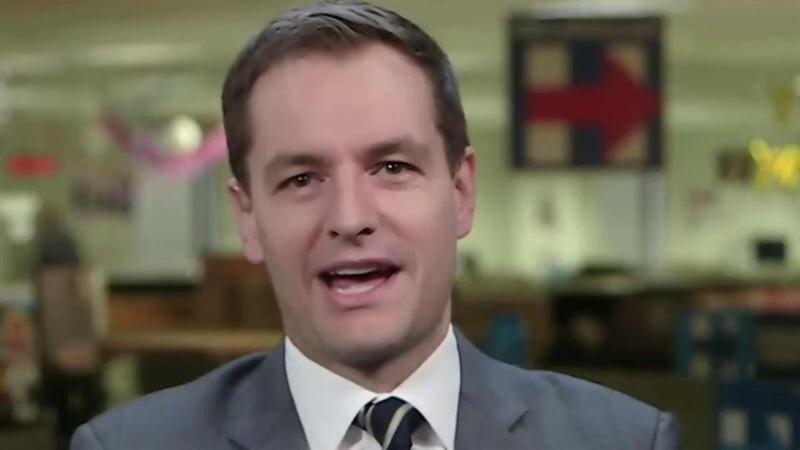 Mook was responding to an analysis published Tuesday by The Associated Press, which examined Clinton's schedule of meetings and phone calls during her four years serving as President Barack Obama's chief diplomat. The report found that of the 154 people she met with who represented private interests, 85 of them had donated to the Clinton Foundation, either individually or through companies or groups. Combined, the 85 donors' contributions tallied as much as $156 million. The count does not encompass U.S. federal employees or foreign government representatives Clinton would have been expected to meet with as part of her diplomatic duties, but the AP notes that she met with representatives from 16 foreign governments who together gave up to $170 million to the Foundation. The AP highlighted examples of powerful people seeking favors or influence from Clinton, such as an economist who wanted her help to stave off pressure from the Bangladesh government to resign as head of a nonprofit bank; executives at Estee Lauder, which was working with State to combat gendered violence in South Africa; and a Wall Street executive who wanted help with a visa. "The meetings between the Democratic presidential nominee and foundation donors do not appear to violate legal agreements Clinton and former president Bill Clinton signed before she joined the State Department in 2009," the report concluded. "But the frequency of the overlaps shows the intermingling of access and donations, and fuels perceptions that giving the foundation money was a price of admission for face time with Clinton." On Wednesday, Mook pointed out others whose names have become synonymous with good works and charitable giving, such as Melinda Gates, whose foundation with her husband, Microsoft billionaire Bill Gates, gives away around $1 billion each year to promote health and education around the world, and is one of the top donors to the Clinton Foundation, with total giving topping $25 million. Mook defended Clinton's meeting with Gates, saying she and her husband are ""recognized around the world as experts at public health issues," and that with Muhammad Yunus, a Nobel Peace Prize recipient whose expertise is in microfinance. "That makes perfect sense for her to meet with him," Mook said. "At every juncture the foundation set up the highest possible standards to prevent any conflict of interest," Mook added, "and the State Department itself has said that there was no conflict of interest."